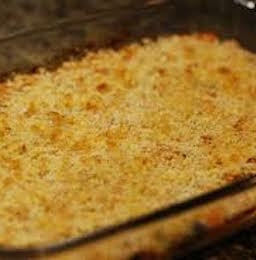 Here is a luxurious seafood augratin recipe using plaice and prawns. A delicious combination which would be ideal for a dinner party. It is very easy to make and has a simple taste - the breadcrumb and herb topping doesn't fight for attention with the fish. 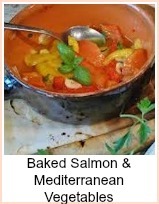 The shrimp is optional in the sauce - I like to use them, but I love combination fish dishes. There are links for two more variations at below this recipe. Grease an ovenproof dish, and lay the plaice fillets in, overlapping as little as possible. Season with pepper and a squeeze of lemon juice. Process the bread and parsley to fine breadcrumbs using a processor or blender. Mix the cornflour with about 1 tbspn milk. Put the milk in a pan with the butter and bring up to boiling point. Remove from the heat and stir in the cornflour paste. Return to the heat and cook for about 1 minute, stirring constantly. 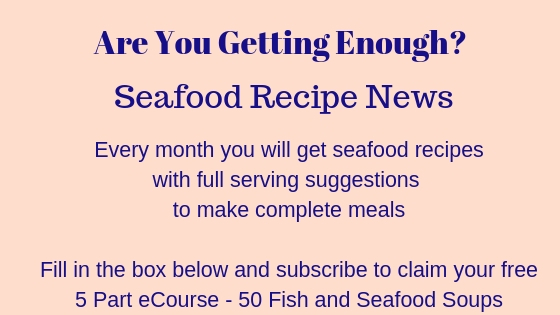 Add the prawns, mix thoroughly and pour over the plaice fillets. Top with the breadcrumb mix, drizzle olive oil over the top and bake in the oven for about 25 minutes until the plaice is cooked through and the topping nicely crispy. 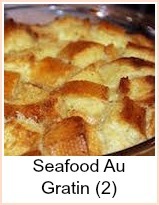 This seafood au gratin recipe would be lovely served with some new potatoes, green beans and cauliflower. 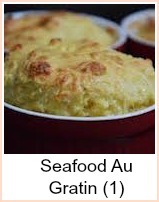 Simple seafood au gratin using plaice in a shrimp sauce baked the oven.